Green Smoothie Recipe Book - drink healthy detox smoothies to lose weight and restore your health naturally! Amazon best-selling author, Diane Sharpe, serves up delicious nutrient-dense smoothies to help you easily rid your body and harmful toxins, feel re-energized and stay healthy. Everyday toxins from our food and environment threatens our existence and has resulted in an epidemic of adverse health effects—ranging from obesity to low energy levels, aches and pains, digestive upsets and more. But there is good news! Diane’s simple and structured smoothie detox program is designed to help you cleanse your body and restore your health. 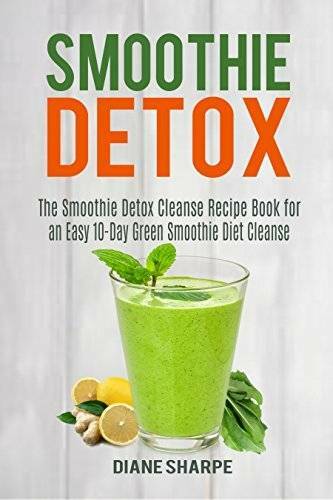 The Detox Smoothie Cleanse book takes readers to the next level with naturally delicious smoothies and insightful detox guidelines. Experience the simple yet powerful approach to optimum health!